1. Bracelet size: 8.86''L, 1.2''W. 3. Power: 3-L736 batteries included and installed. 4. Lights up in response to any sound. 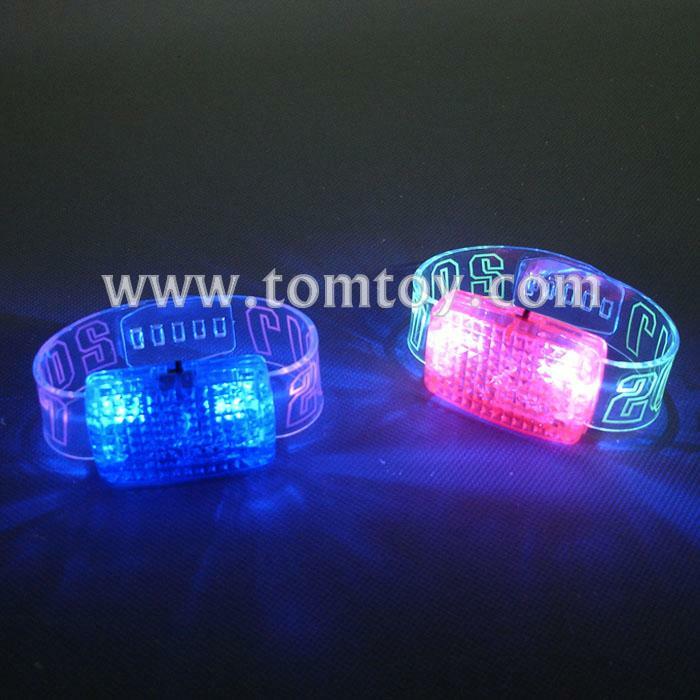 LED bracelets light up to your voice or the music and sounds around you.